For a neat and contemporary finish choose a made-to-measure grey Wooden blind. With a choice of colours, finishes and accessories for a bespoke finish every time. 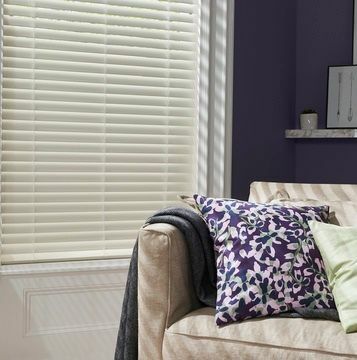 For a naturally elegant look, give contemporary grey Wooden blinds a go. For classic authenticity, our sustainable basswood blinds bring warmth to your surroundings. And our faux wood blinds combine sleek sophistication with the practicality of a man-made material. This means pristine style that lasts - even in kitchens and bathrooms. Once grey Wooden blinds have got the go-ahead in your room, it’s time to book a free home appointment. Your local advisor will visit your home on a day of your choosing, bringing our samples with them for you to browse. 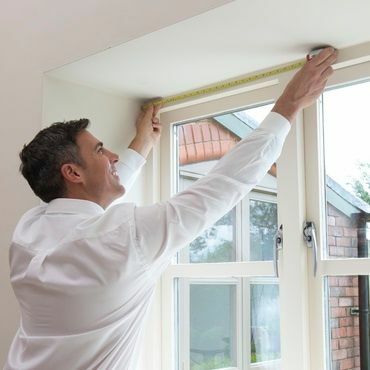 They’ll also measure your windows and leave you with a no-obligation quote. You can also ask your advisor about all of the lovely ways to personalise your grey Wooden blinds. These include different slat sizes to suit the aspect and position of your windows, as well as decorative tape to provide a luxurious shutter-style effect.